Fried chicken is the epitome of the south and a staple piece for any home-cooked meal. Throughout Nashville, there are many incredible restaurants and some of them, are known for their fried chicken. 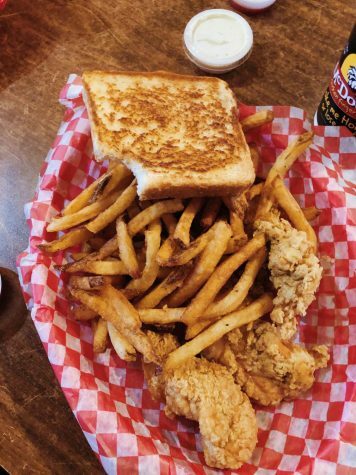 My friend Abbey and I decided it was time we review some of Nashville’s popular chicken restaurants and let you guys know what we think! We chose three restaurants differing in price, location, and menu options. We put together a chart to rate the restaurants in multiple different aspects and compiled our answers after each visit. If you didn’t read Part 1 of the review of Chic-fil-A click here first! For our second restaurant, Abbey and I chose McDougal’s Chicken. 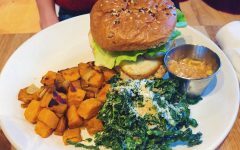 There are two locations in Nashville; we chose the one located just down the street in Hillsboro Village at 2115 Belcourt Ave, 37212. Hillsboro High School is located on Hillsboro Road, which is also known as 21st Avenue. 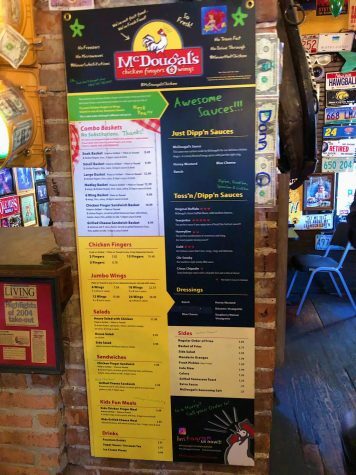 McDougall’s is located just off 21st Avenue – and though it is only 3 miles down from Hillsboro High, anyone planning to visit this restaurant needs to factor in traffic and time to find a parking spot. Parking in Hillsboro Village is scarce. We parked at the movie theater across the street and headed into McDougal’s. As soon as we walked in, we noticed how the restaurant was decorated. It is unique because everywhere there are stickers, letters and pictures filling every space on the walls. This gave Abbey and I the impression that this was a family-friendly restaurant, and a place popular with all different kinds of people. We then went up to the counter and ordered our meal. Abbey got the small basket chicken, which cost $9.99 and I got the “Snack Basket” which cost $8.49. The difference between the baskets is minimal, so we recommend the snack basket. We got our drinks and sat down to wait for our meal. Our food arrived very quickly and we were pleasantly surprised by the portion sizes, which were more than enough for one meal. Both of us were able to get “to go” boxes and east more of this great chicken later. Abbey and I are a team, but we both complete individual scoring. McDougal’s received a high score from us both and we agree the chicken is incredible. In our opinion, it is the best chicken themed restaurant that is located close to Hillsboro High School. The best surprise came with the free ice cream that is offered at the end of the meal. BONUS! We both made the trip to the counter to check out this feature. They serve vanilla soft-serve custard, which is right finish for a meal of chicken. There are several downsides to a restaurant that is only focused on one type of food. We particularly thought that the lack of options on the menu limited one to trying something new. I thought the fries were average if not less than mediocre, however Abbey loved the fries and toast that came with the meal. It isn’t a cheap meal on a student budget, but considering it was delicious the price seemed expected. Overall, the restaurant was great and yet again, we would recommend to others. 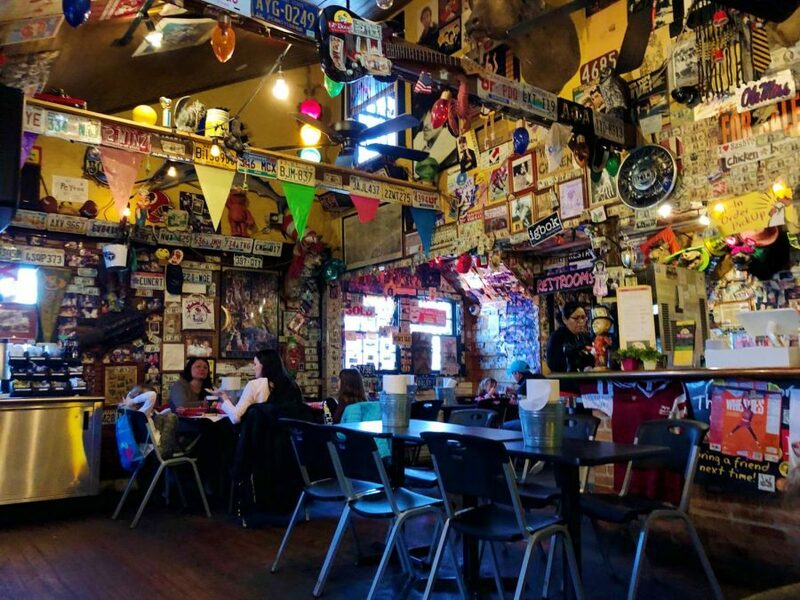 McDougal’s 4 out of 5 stars and is on our list to revisit. 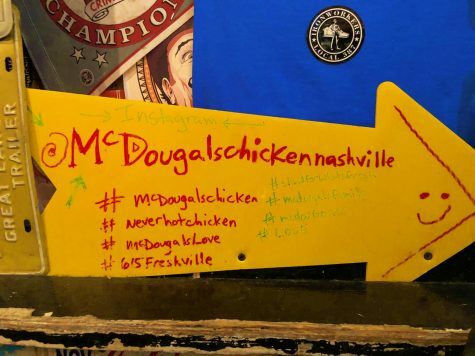 You can also visit the McDougal’s integral @mcdougalschickennashville or visit their website at http://www.mcdougalschicken.com.